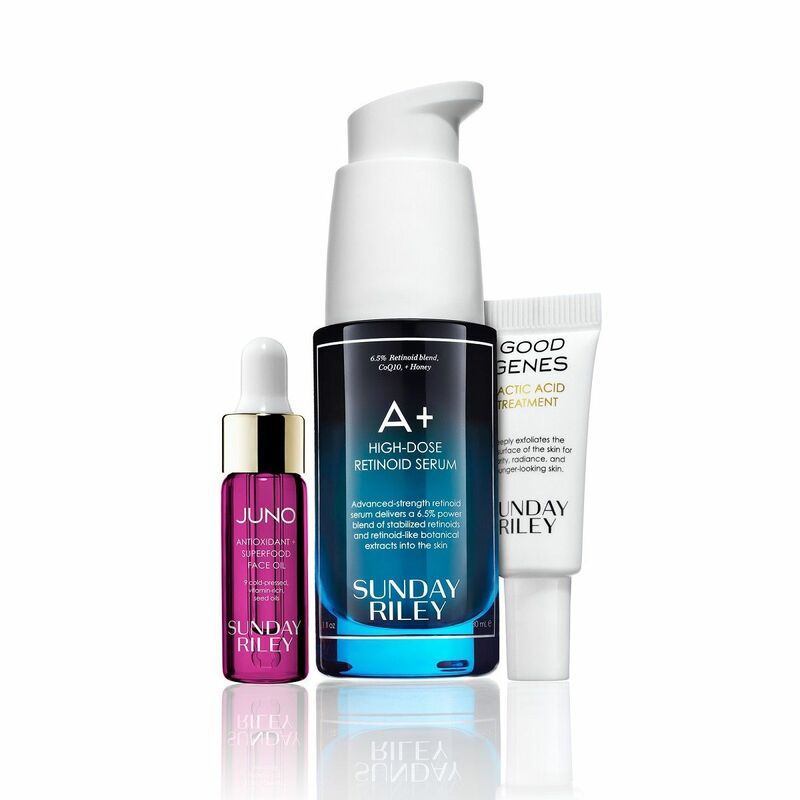 Advanced-strength retinoid serum delivers a 6.5% solution of stabilized retinoid blends and botanical, retinol-alternative extracts into the skin. Combining 5% retinoid ester blend, 1% liposomal-encapsulated retinol blend, and 0.5% blue-green algae with natural, retinoid-alternative activity, this serum fights the signs of aging and improves the look of congested and UV damaged skin. Encapsulated CoQ10 helps to improve the appearance of aging or damaged skin, while rare, Hawaiian white honey, bisabolol, cactus extract, and ginger balance and soothe the skin for the appearance of calmer, even-toned complexion. ACTIVE INGREDIENTS A+: Water/Eau/Agua, Propanediol, Dimethyl Isosorbide, Triheptanoin, Dimethicone, Glycerin, Pentylene Glycol, Hexyldecanol, Disiloxane, Cetyl PEG/PPG-10/1 Dimethicone, Diheptyl Succinate, Propylene Carbonate, Hydroxypinacolone Retinoate, PPG-24-Glycereth-24, Phenyl Trimethicone, Retinol, Ubiquinone (CoQ10), Honey Extract, Sodium Hyaluronate Crosspolymer, Algae Extract, Zingiber Officinale (Ginger) Extract, Opuntia Ficus-indica Fruit Extract, Bisabolol, Butyrospermum Parkii (Shea) Butter, Phospholipids, Saccharomyces Cerevisiae Extract, Lecithin, Sodium Acrylates Copolymer, Hydrogenated Polyisobutene, 1,2-Hexanediol, 4-t- Butylcyclohexanol, Polyglyceryl-10 Stearate, Caprylyl Glycol, Helianthus Annuss (Sunflower) Seed Oil, Sorbitol, Cetylhydroxyproline Palmitamide, Polysilicone-11, Benzoic Acid, Dehydroacetic Acid, Sodium Phytate, Glyceryl Polyacrylate, Polysorbate, Hydroxyphenyl Propamidobenzoic Acid, Stearic Acid, Brassica Campestris Sterols, PVP, Capryloyl Glycerin/Sebacic Acid Copolymer, Sodium Benzoate, Alcohol, Potassium Phosphate, Decyl Glucoside, Phenoxyethanol, Hexylene Glycol, Potassium Sorbate, Tocopherol.